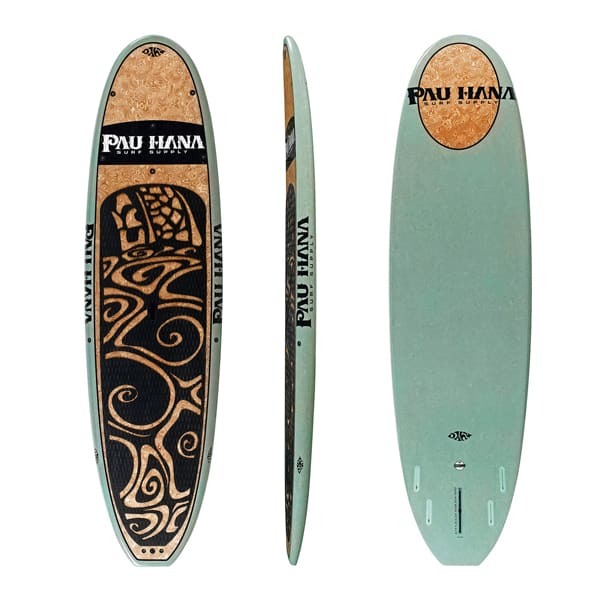 The Oahu Series by Pau Hana is a true nose rider SUP series with a spooned out nose, wide tail, and full rails—designed for stability, maneuverability, and fun. 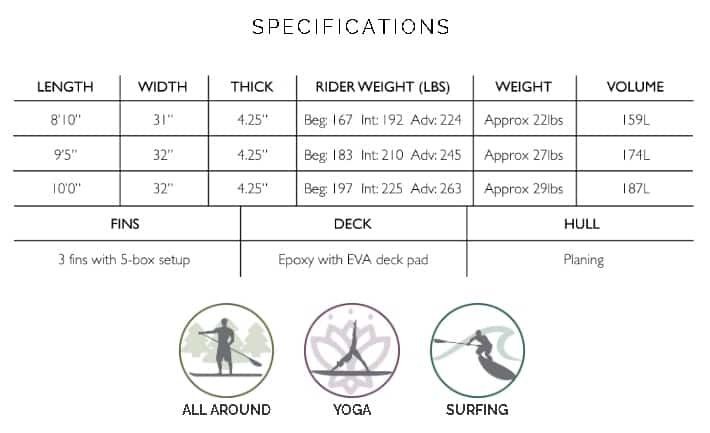 The Oahus are excellent all-around boards that can be ridden in a variety of conditions (ocean, rivers, and lakes) and available in three different sizes. Due to the flat deck, extra width, and round nose, the Oahus preform well as nose riders in the ocean, standing waves in the river, and steady platforms for yoga.